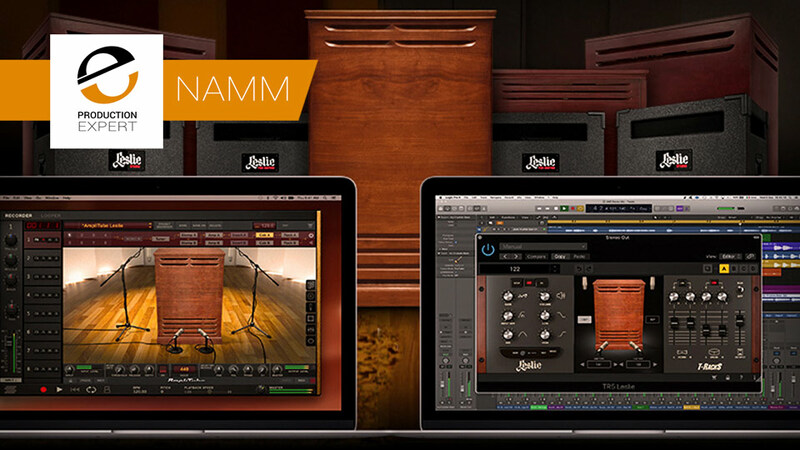 IK Multimedia has teamed up with Hammond USA and Suzuki Music Corp. of Japan, with the intent to bring you best sounding Leslie of the digital world, with 5 legendary Leslie amps and 6 cabinets in one module, that you can now use inside their T-RackS 5 and Amplitude products. Ik Multimedia has used their Dynamic Interaction Modeling and Volumetric Response Modeling technologies, which have designed to reproduce the subtlest interactions of an electronic circuit down to its tiniest component and recreate the real acoustic behaviour of rotary-speaker cabinets. From microphone distance and position control, level balancing, different amp and cab combinations, circuit overdriving, width, acceleration and deceleration control of the rotary speaker, horn/drum balance and more, IK Multimedia are offering everything they think you need to give your tracks the unmistakable shimmer, charm, warmth, growl and character and attitude that are an integral part of the Leslie sound. The IK Multimedia Leslie for Amplitude and T-RackS have circuit-modeled amplifiers which help to recreate the signature tone of these incredible units, especially when overdriving the amp circuit, typical of genres like rock and blues. IK’s Dynamic Interaction Modeling Technology is designed to analyse and model the behaviour of every electronic component in the circuit, as well as their mutual interactions, with the intent of reproducing the exact behaviour of the entire system in a non-linear and dynamic way. 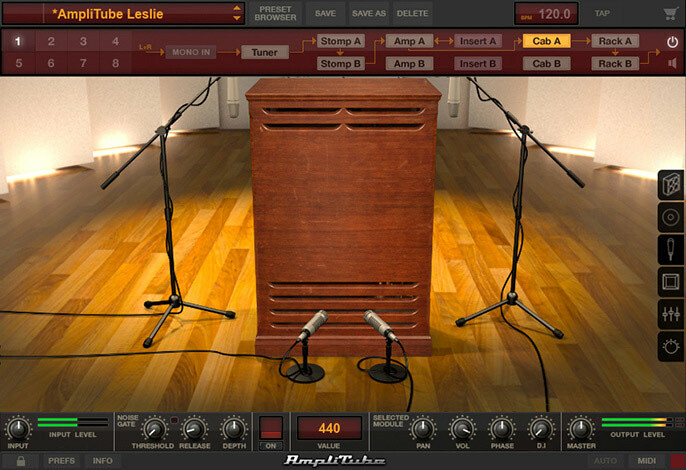 IK Multimedia has used their proprietary technology to try and recreate these complex machines using Volumetric Response Modeling, that includes modelling of some parts and capturing the real audio behaviour by miking up the cabinets in a high-quality room to extract the essence of their original tone. It is not clear when these products will be available.